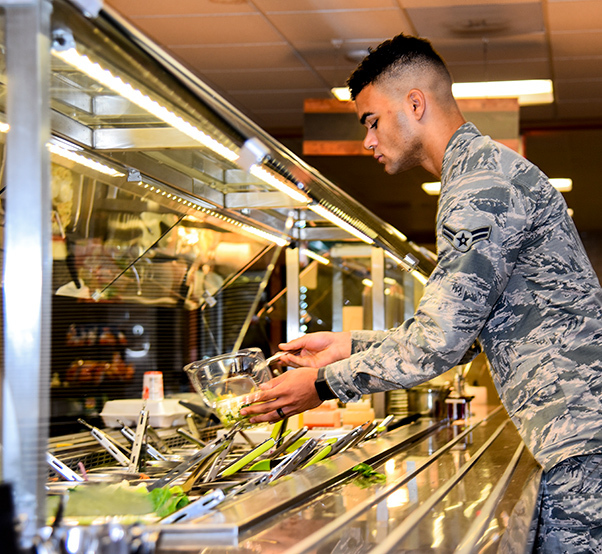 Airmen stop by the salad bar for a more healthy option at the Desert Inn dining facility at Davis-Monthan Air Force Base, Ariz., Oct 1, 2018. 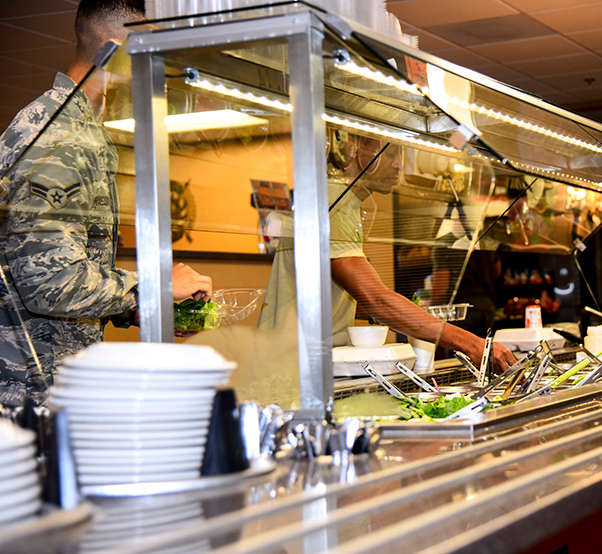 The dining facility provides food service excellence in support of Air Force readiness and peacetime missions. 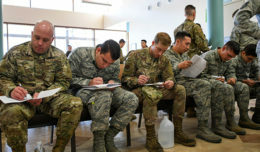 The 355th Force Support Squadron provides service to over 40,000 Airmen, civilians, contractors, retirees and dependents on Davis-Monthan Air Force Base, Ariz., through various facilities. The Desert Inn Dining Facility may be small in numbers, but hold a key component to supporting the mission. 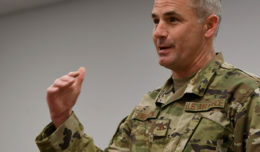 While the ultimate goal is to support the mission, their day-to-day activity can be commonplace. But like any other service, they serve a unique purpose. Airman 1st Class Christian Poole, 355th Force Support Squadron food service apprentice, serves an airman during lunch at Davis-Monthan Air Force Base, Ariz., Oct. 1, 2018. The dining facility provides food service excellence in support of Air Force readiness and peacetime missions. 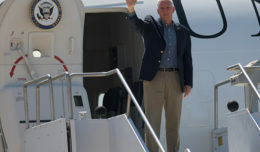 Regardless of how miniscule they may seem on a large scale mission, this particular service understands its role and does it well. Anyway they can, food services is accommodating the needs of the Airmen and ensuring quality food and service. 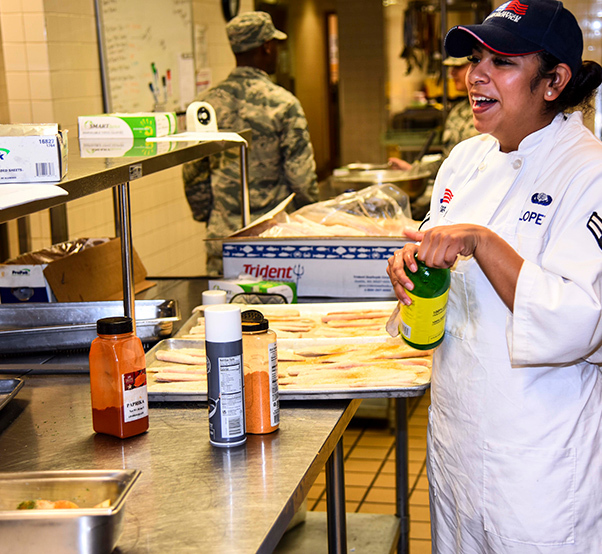 Airman 1st Class Mirella Lopez, 355th Force Support Squadron food service apprentice, prepares food from the menu of the day at Davis-Monthan Air Force Base, Ariz., Oct. 1, 2018.The dining facility provides food service excellence in support of Air Force readiness and peacetime missions. A U.S. Airman prepares a salad at the Desert Inn Dining Facility at Davis-Monthan Air Force Base, Ariz., Oct. 1, 2018. 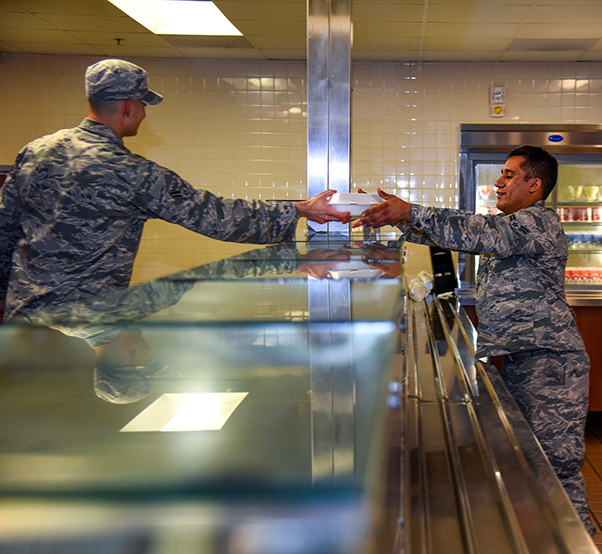 The dining facility provides food service excellence in support of Air Force readiness and peacetime missions.